Who: OKUURRR! American rapper Belcalis Almanzar, known as Cardi B, has officially taken the world by storm. Why she's fearless: Cardi has never been one to sit down and stay quiet — in fact, her career was pretty much founded on her "no filter attitude," and she's always been vocal about her background as a former stripper. She's also appeared on reality TV series Love & Hip Hop: New York. 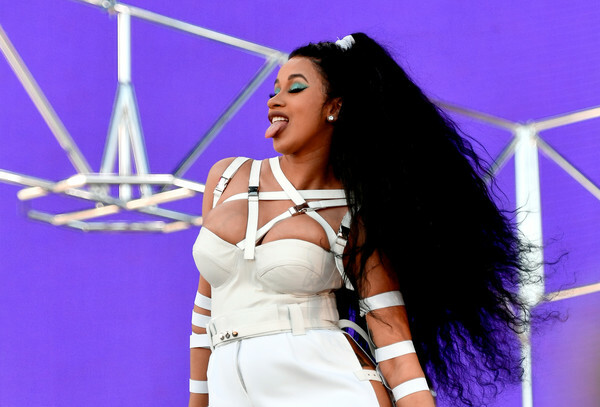 But all that went out the window when Cardi's hit single "Bodak Yellow" reached #1 on the Billboard Hot 100 chart, making her the second-ever female rapper to do so with a solo output. (The first was Lauryn Hill in 1998.) Get it, girl. Our musical picks: "Drip" (feat. Migos), "On Fleek"